Wow. I hope you had a good weekend? 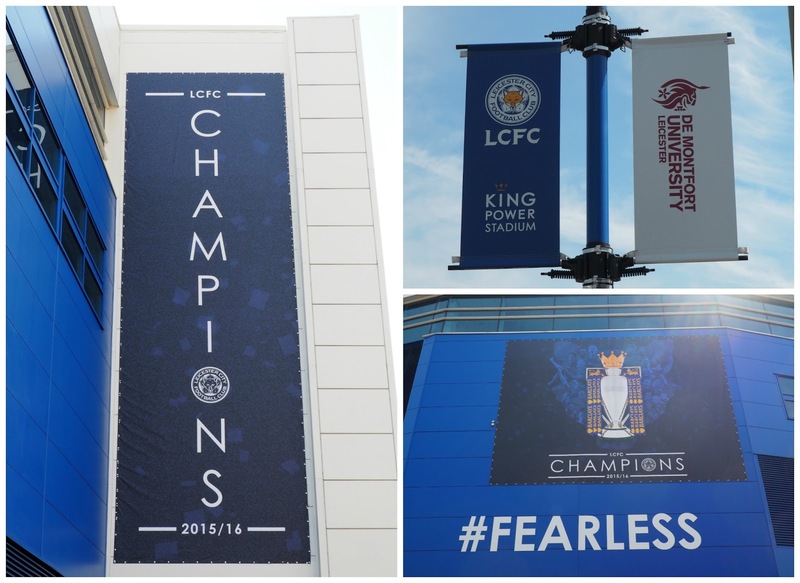 The whole of Leicester City certainly did as the unimaginable happened. You may have heard that our football team only went and won the bloody Premier League and my God the celebrations blew the roof off our city. If you hadn't heard then you must have been living in a cave at the bottom of the ocean with ear plugs in! It's been totally amazing here since it became official last Monday. I'm not into football but have been taken on the joyous ride over the last couple of weeks, willing them along and even watching the matches, something I never thought I would do. I'm a Leicester girl born and bred and have never been more proud of my city. I'm thrilled for all the loyal fans who have supported them come rain or shine all the way, from the very bottom to the very top, and to watch the tears in their eyes made me a bit of an emotional wreck! None more so that watching Andrea Bocelli perform in our stadium, oh and then our team whooping Everton's arse. The streets are already lined with balloons, flags and banners and thousands of homes are adorned with flags and bunting. I can only imagine the celebrations yet again when the champions tour the city on the open top bus on 16th May. Sadly Mr C and I won't be here to see it as we are away. I know it will be unlike anything this city has ever seen. And so it should be. We waited until the aftermath had completely died down from Saturday's match and Sunday morning popped to the stadium to take some pics for this post, there were still so many people around taking photos and also press filming and reporting. Stunning day for it! Anyway this post doesn't end there. 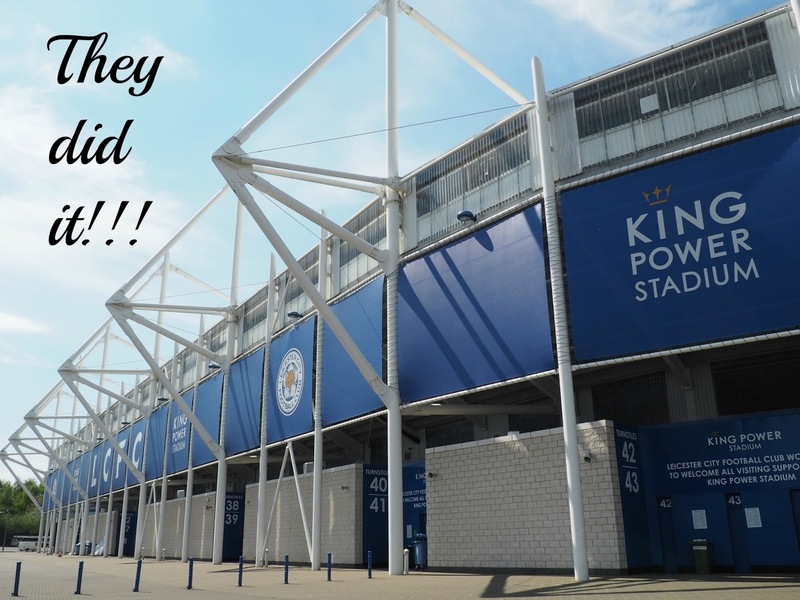 As the title implies Leicester is famous for so much more so I'd like to tell you a little bit. 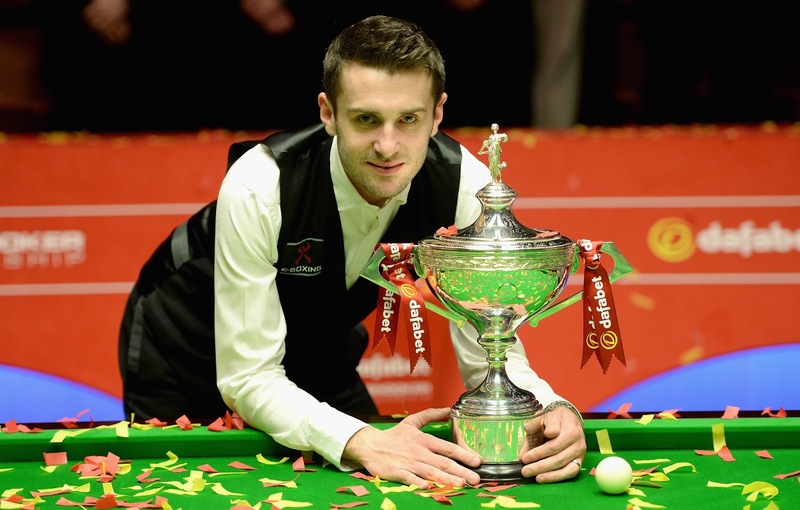 Let's continue with another Leicester lad, Mark Selby, sure you heard all about it too, on the same night we knew we'd won the league he won the World Snooker Championships, ahem, for the second time may I add. Double celebrations. To be honest we have so much we should be proud of, and so much going for our city, it's not until you sit back and think about it and then realise what has been achieved here over the years. Continuing on the football theme I of course have to mention our Gary. 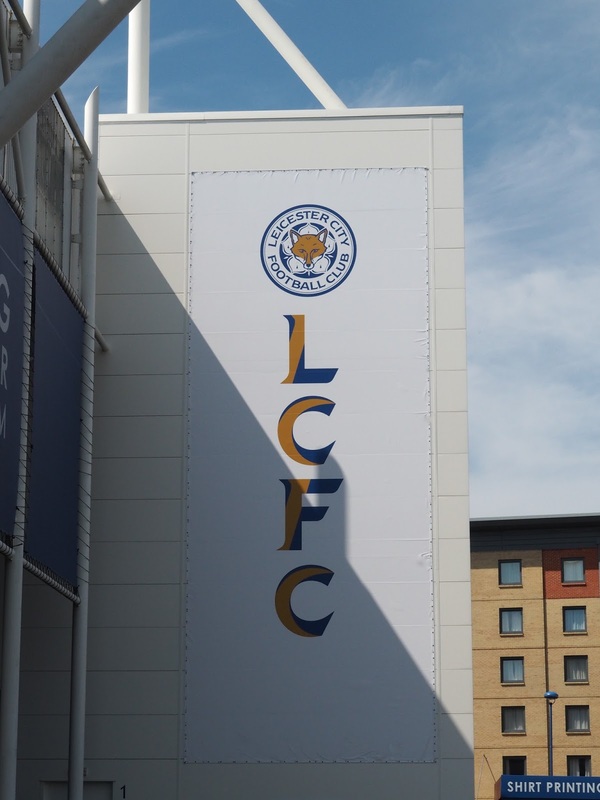 Born in Leicester Gary joined the Leicester City football team in 1978 where he stayed for a number of years before moving on to other teams and is as you know a sports broadcaster. 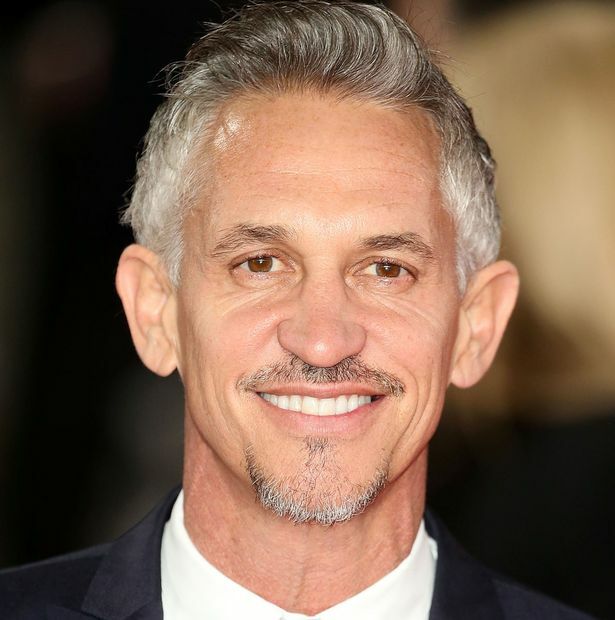 If you ask anyone in the city of a name linked to sport, the name to come out first will more than likely be Gary Lineker. Oh and not to forget we'll get to see him in his pants before long! Still continuing with sport I have to mention the Tigers who are the most successful English club since the introduction of league rugby in 1987 (thanks Wikipedia). I know as much about rugby as I do about football, I could write it on a postage stamp, (although I've been to a match and enjoyed it) but all I do know is that they're amazing and have a massive support system from our city. 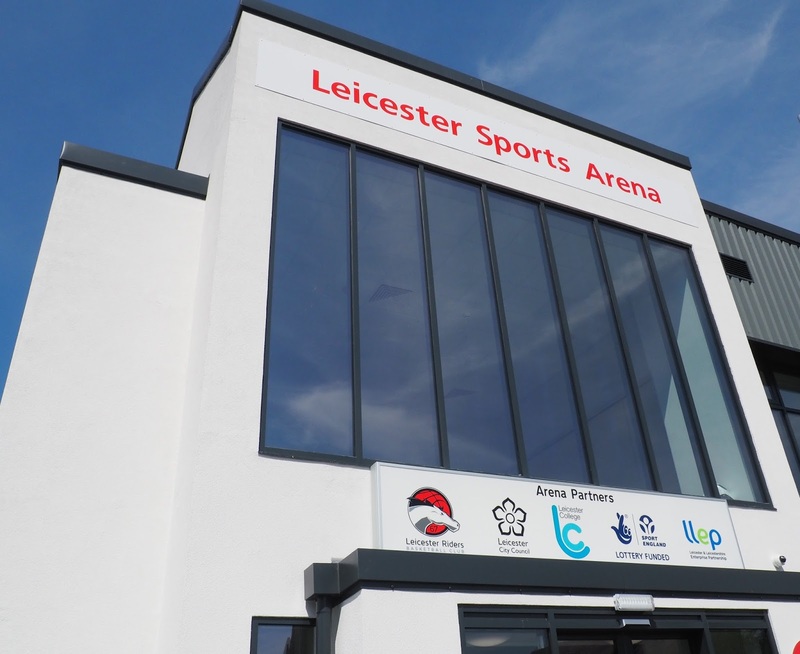 Leicester Riders, the oldest operating basketball team in the county, have also won the BBL championships. Our sporting finest are on fire. 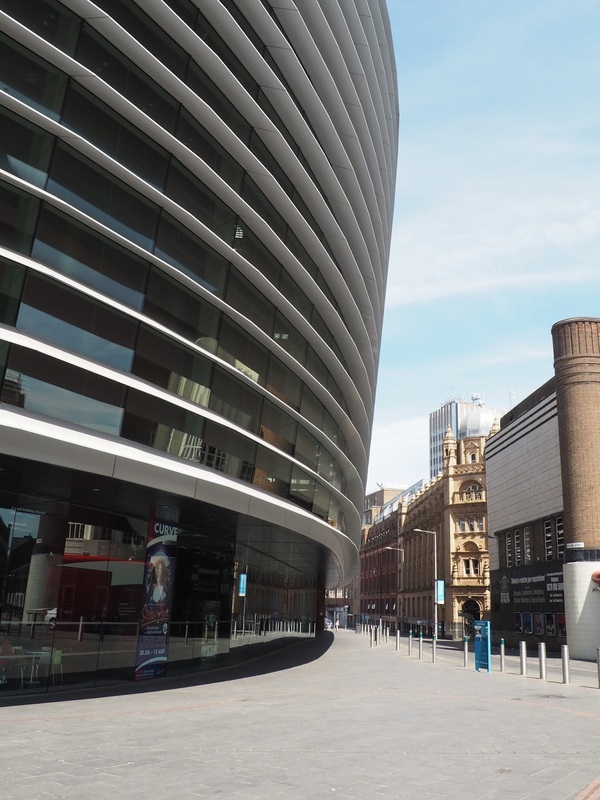 A spectacular state of the art theatre based in the cultural quarter of the city. It has two auditoriums, the main theatre and the studio. At one point it earned itself a place in the top ten producing theatres in the country and has played host to many shows before they go on tour or hit the West End. We've had some stars perform here and actually come to watch too and Mr C and I have seen lots of shows in both theatres. You can pre book a meal and have a great evening out. Thomas Cook is one of the best known names in travel and his statue is located just outside the train station on London Road as that is where his journey into travel began. Walking from his home in Market Harborough to Leicester one day he came up with the idea of a one day rail excursion from Leicester to Loughborough. This first trip took place on 5th July 1841 and turned out to be hugely successful and so it continued. From those humble beginnings Thomas Cook has grown into one of the worlds leading travel groups. Now again, unless you were in that cave at the bottom of the ocean you will not have missed the fact that we had a King buried in a car park in our city which also made news all over the world. I'm not hot on history either, which I'm really ashamed to say, I really do wish I knew more, so I'll leave you a link to the society here so you can have a read if you want to. 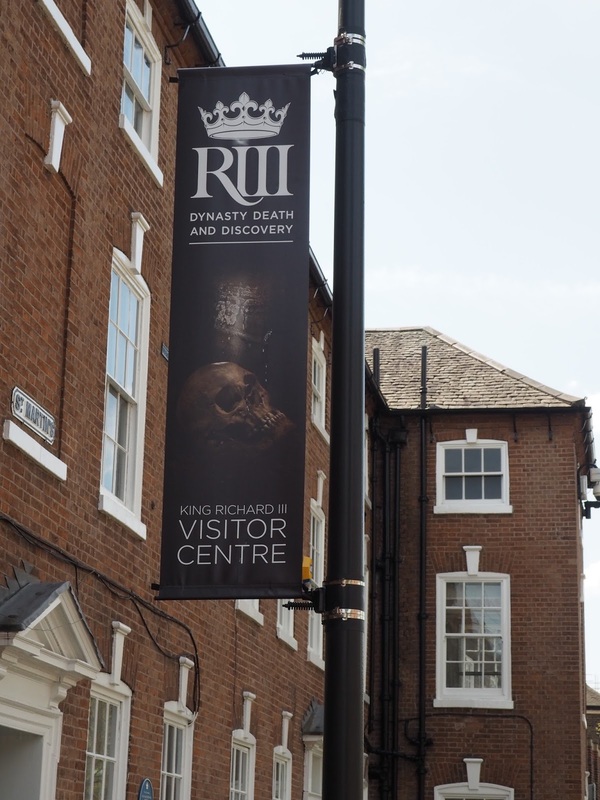 On 4th February 2013, with DNA technology (I'll come on to that in a minute) the University of Leicester confirmed that the skeleton discovered in the car park was beyond reasonable doubt that of King Richard III and on 26th March, 2015 was reburied in the Leicester Cathedral. We also now have a fabulous visitors centre so rather than read about the King, why not come see for yourself? Alec Jeffreys moved to Leicester University in 1977 and in 1984 had a eureka moment in his lab when he was looking at a DNA experiment and realised the possible scope of DNA fingerprinting, which uses variations in the genetic code to identify individuals. This method has become so important in forensic science to assist in police detective work, in fact the first time it was used in this way was in the murder cases of two Leicester teenage girls. DNA fingerprinting lead to the conviction of murderer Colin Pitchfork. Right from the heart of city Alec Jeffreys developed the techniques for DNA fingerprinting and DNA profiling which are now used worldwide. In 1994 he was knighted for his services to genetics. Hats off to your Sir. 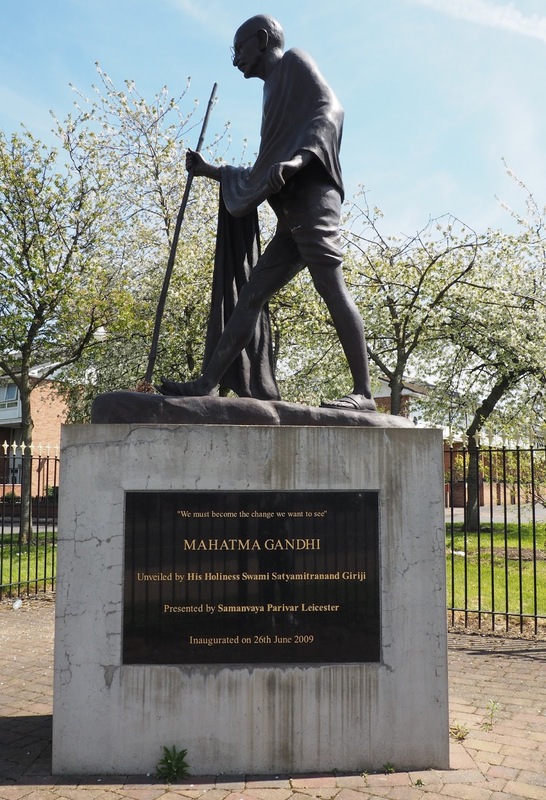 Leicester is such a diverse and multicultural city and this statue of Ghandi sits more or less at the beginning of the Golden Mile, a name given to a stretch of Belgrave Road and Melton Road, sitting just outside the city. It's renowned for its Indian restaurants, sari shops and jewellers and people come from miles around to visit. The area comes alight for the Diwali celebrations, said to be the largest outside of India, and people arrive in the thousands to partake. As a child I have fond memories of my parents taking me and my sister for a walk down Melton Road to see the lights, take in the atmosphere and sample the food. In fact we did the same with our kids too! Do you have one of these in your city? No you don't! We're very proud to have this. Our space centre is one of the UK's leading visitor attractions devoted to space science and astronomy. You can have hours of fun, well, the whole day and night if you had the chance, going into a world of discovery and interactive fun. 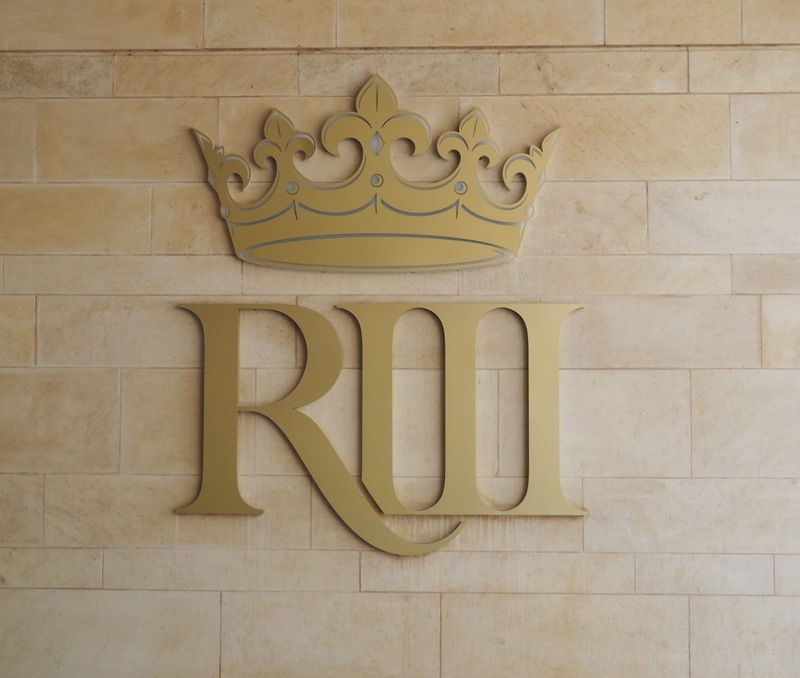 They have a rocket tower, the UK's largest 360° planetarium, six galleries and so much more. It's real hands on stuff and is just as much fun for adults as it is the kids, and you both come away having learnt so much. I was amazed at how much I enjoyed it. I've put a link here if you want to know more and check out prices etc. The best crisps. The nations favourite crisps. The only crisps. Well, for me anyway. And they're Gary Lineker's favourite as he's the face of Walkers crisps and try and pinch his at your peril! Launched in Leicester by Henry Walker in 1948 and going stronger than ever today. They do export overseas but you may sometimes see them with Lays on the packet, Pepsico now own Walkers who also own the Lays brand. Leicester is the home of the pie. Not just any pie, but PUKKA pies. You know, those deliciously tasty pies that you have with your chips on a Friday night. 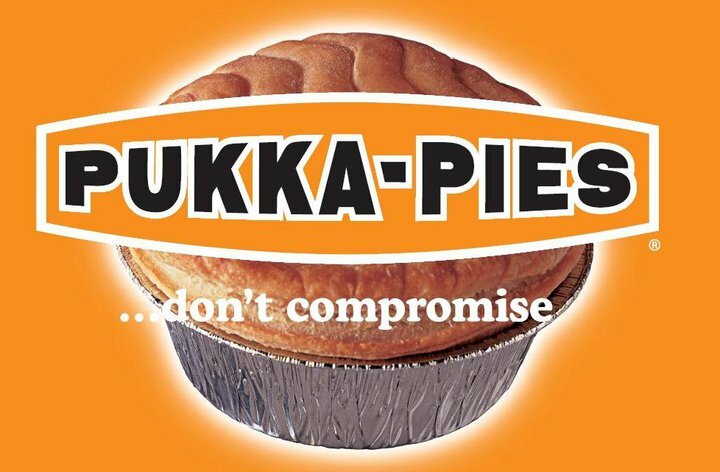 PUKKA pies is an independent company based in Syston, Leicestershire and was set up in 1963, and have been making damn good pies ever since, in fact today they make over 60 million pies a year! Wowzer. Who eats all those pies? The whole of the world it seems! 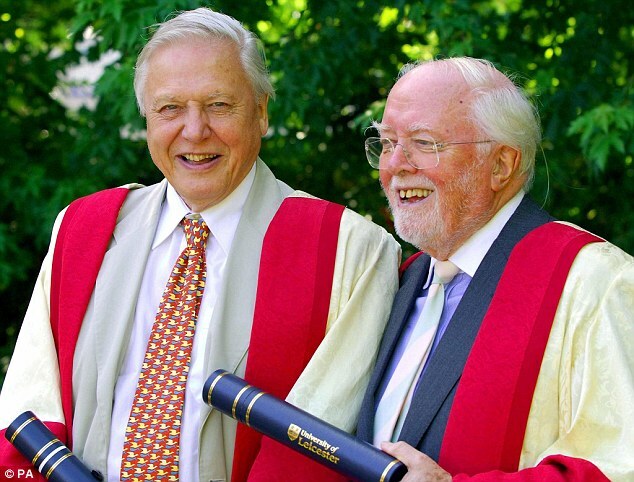 Sir David Attenborough and his brother Richard, CBE, grew up in Leicester. Richard, actor, film director, producer and politician. Sir David, broadcaster, naturalist, and greatest lover of our planet. I don't need to say much about these two national treasures, loved and admired by the world. That comes to the end of my list. Please don't shout at me and say 'but what about this?" or "we're famous for that" because I have no doubt there's so much more and I could go on forever but I have to stop somewhere, and I only had a few hours on Sunday to whizz around the city and capture a few things. I'm sure you'll be shouting names of sporting heroes and historic events at the screen as you're reading this so perhaps you could drop them in the comments box for everyone to see too. As a city we have so much to be proud of. We kind of take it for granted and don't really give our past achievements much thought. It wasn't until I thought about doing this post and was chatting about it with Mr C, that these things popped into our heads and made us smile. After the football, our city has had the eyes of the world upon it, reporters from all over the world are still here, in fact there were Spanish and Italian TV crews outside the cathedral as I was snapping away on Sunday, but we've loving every moment. 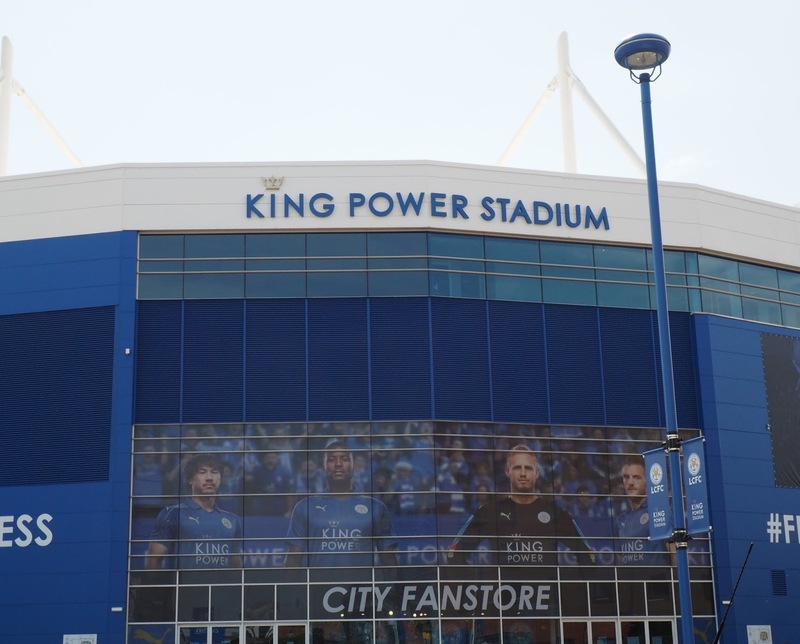 Leicester City has so much to offer, the football stadium, Highcross shopping centre, fabulous restaurants, The Golden Mile, King Richard, The National Space centre (a must see) and actually so much that you wouldn't be able to fit it all in one day, you'll need more than one visit or a stopover! I enjoyed putting this post together and I hope you've enjoyed reading it. Please share the post with everyone you know so that they too can come and enjoy what this city has to offer. We have very nearly drank the city dry, but we will continue and finish the job when our heroes come on that open top bus, sadly we will be on a plane but we'll be raising a glass to the lads! Steph, this was a brilliant post. 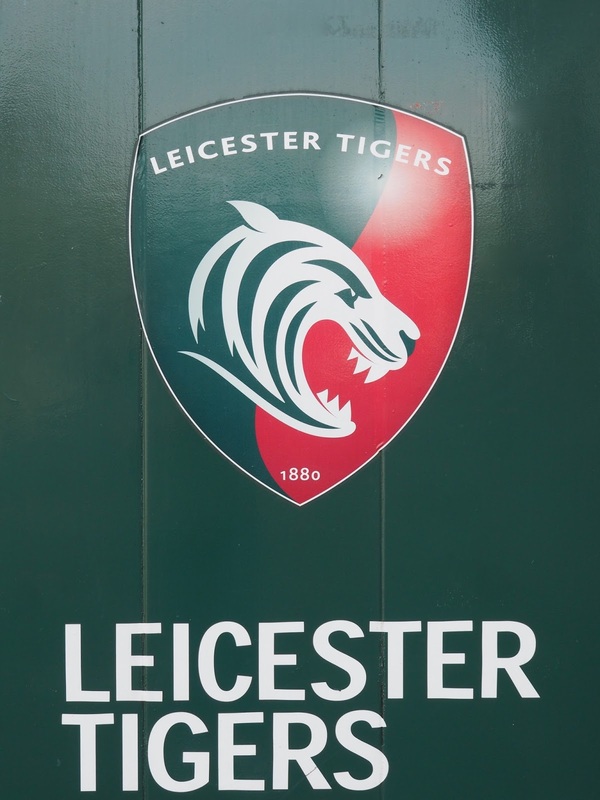 Leicester is a city I've never visited, but this was a really interesting to read about all it's been responsible for.